BuzziPleat: Sculptural, Sound Absorbing Forms by 13&9 Design « Adafruit Industries – Makers, hackers, artists, designers and engineers! 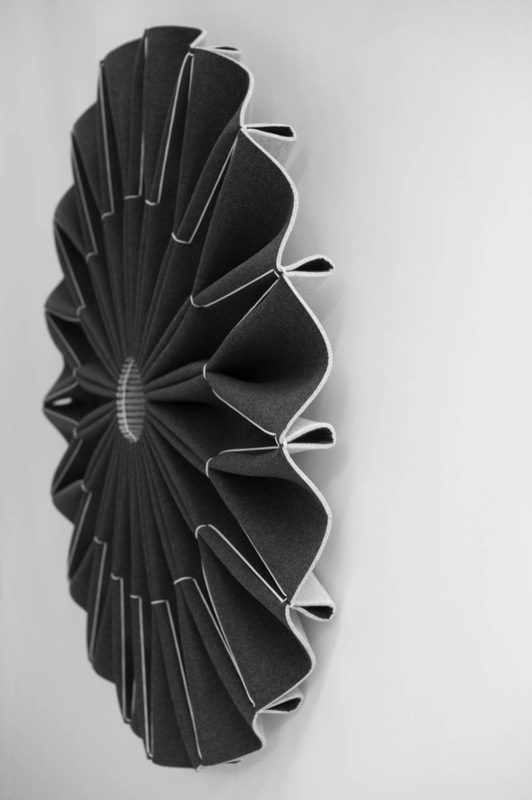 Designed by Austrian design firm 13&9 Design, BuzziPleat is the latest sound absorbing option added to the BuzziSpace catalog of smart, modern acoustic solutions. 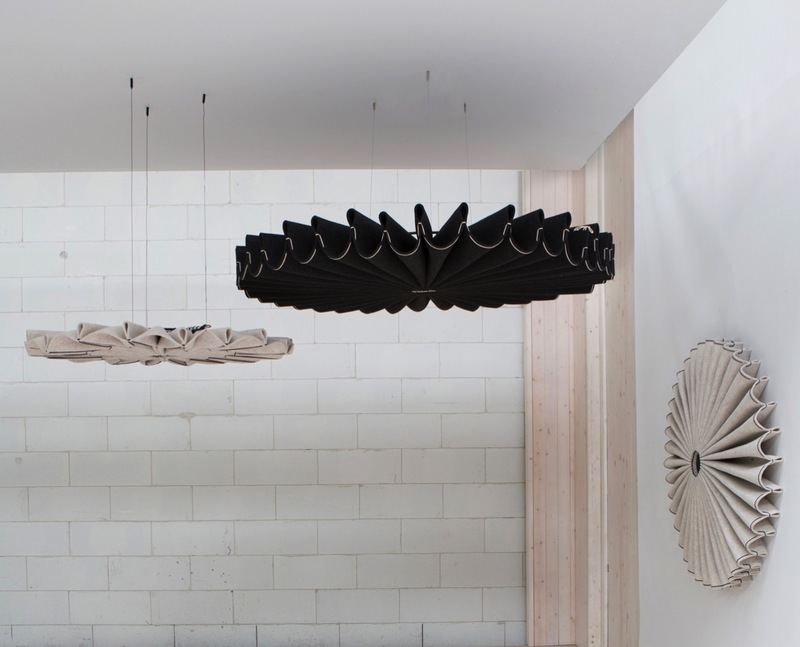 The lightweight, large-scale forms are sculptural in nature thanks to the hand pleated layers of sound-absorbing BuzziFelt. The team looked at ancient smocking and pleating techniques used in fashion design to arrive at the circular felt pendants. Each one is made up of folded felt that’s sewn to create tension and flexibility. With the numerous folds, the surface area increases to accomplish its goal of reducing sound. 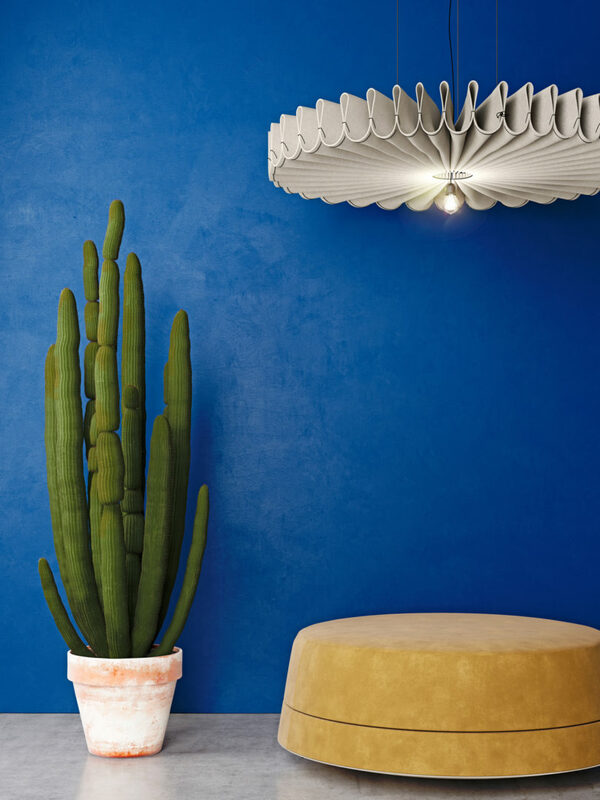 The pendants can be hung on the walls or from the ceiling where a light source can be added for additional functionality.